Osteoarthritis, or Degenerative Joint Disease, is a common disease in our older pets. 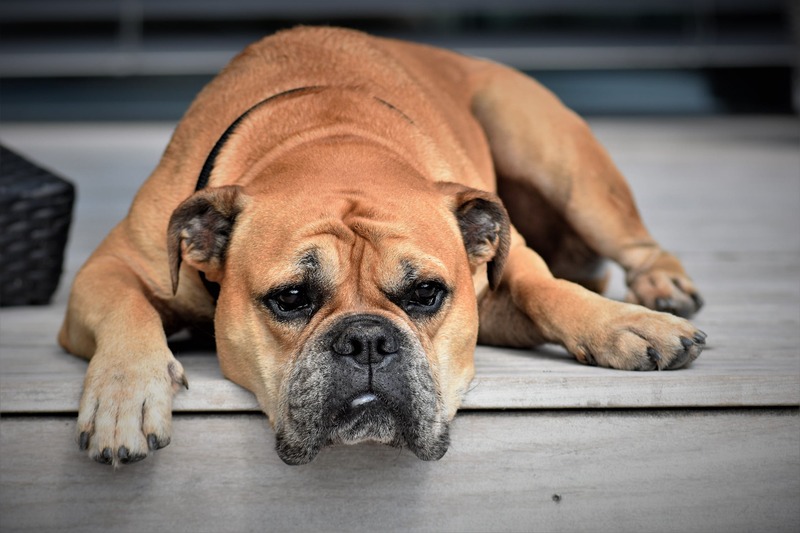 While many owners chalk the stiffness and decreased mobility seen in these pets as just “old age”, they can dramatically impact a pet’s quality of life. Dogs with osteoarthritis rarely vocalize their discomfort with cries or a non-weight bearing lameness. The changes are often subtle and can involve symptoms such as stiffness, reluctance to climb stairs, weight shifting when standing still and a decreased desire to go on walks. Osteoarthritis is a combination of changes seen in a joint. In a normal, healthy joint, cartilage forms a smooth surface that allows the bones to glide across each other without resistance. Cartilage also provides a cushion to absorb impact from walking and running. Pets with osteoarthritis have a thinning of this cartilage, increased inflammation, and bony growths within the joint. These degenerative changes cause pain and can limit the range of motion of the joint, causing the stiffness and decreased mobility seen with osteoarthritis. Most of us associate osteoarthritis with older dogs, but it is important to recognize that the changes seen in osteoarthritis can be found in dogs of all ages. The most common underlying causes of osteoarthritis are developmental abnormalities, such as hip dysplasia, elbow dysplasia or luxating patellas (floating kneecap), and previous injuries, such as a cranial cruciate rupture (torn ligament), elbow luxation (dislocated elbow) or traumatic damage to the joint. Osteoarthritis can also be an immune-mediated response or a result of an infection. The diagnosis of osteoarthritis has two components. The first is a good physical exam where your veterinarian will identify pain, joint swelling (effusion), friction between bones (crepitus) and limited range of motion of affected joints. The second is radiographs, which are an important tool. They can show the bony changes seen in osteoarthritis and are used to rule out other potential causes of pain, such as cancer or fractures, that would need to be addressed differently. In some cases, the prevention of arthritis is impossible. But, there have been scientific studies that show healthy weight management throughout the life of your pet helps prevent joint injuries, such as cruciate ligament ruptures, and minimizes the discomfort pets with developmental joint problems, such as hip dysplasia, experience. Early surgical intervention in some cases of injury or developmental issues can prevent or decrease the formation of degenerative changes to the joint. Successful management of osteoarthritis in pets uses a multi-modal approach. Degenerative changes to a joint cannot be reversed so the goal of treatment is to slow the progression of arthritis and manage pain. One of the most important aspects is weight management. Keeping a pet with osteoarthritis at a lean, healthy weight can dramatically increase mobility and decrease pain. This can be difficult in older dogs that are in pain so what you feed and how much is extremely important. Oral pain medications are also a cornerstone of pain management in arthritic patients. Non-steroidal anti-inflammatory drugs (NSAIDs) are the most commonly used as they provide pain relief and anti-inflammatory effects. Additional or alternative oral pain medications may also be prescribed by your veterinarian. Oral neutraceuticals are also used to help maintain cartilage health and decrease the inflammation seen in osteoarthritis. These can include fish oil, glucosamine, chondroitin, curcumin, avocado-soybean unsaponifiables (ASUs) and green-lipped muscle (GLM) extract. Adequan is an injectable polysulfated glycosaminoglycan (PSGAG) that is classified by the FDA as a “Disease Modifying Osteoarthritis Drug.” This means Adequan has been shown to inhibit the enzymes that break down cartilage within the joint to reduce damage to the joint. T-cyte is a new FDA approved therapy for osteoarthritis in dogs. This is a Lymphocyte T-cell Immunomodulator (LTCI) that has been shown to decrease the body’s immune response (inflammation) to arthritis. As an immunotherapy, it can be given in combination with pain medications or used in dogs that do not tolerate pain medications. This product can only be used through your veterinarian. Controlled exercise and physical therapy helps maintain muscle strength and joint range of motion. These do not have to be strenuous exercises but should be targeted to your pet’s individual condition. A rehabilitation certified veterinarian or technician can help design a program tailored to your dog’s needs. Alternative pain management therapies such as acupuncture, laser therapy and pulsed electromagnetic therapy are often used in conjunction with traditional medications or in place of these medications in pets that cannot tolerate pain medications. Though it might seem insignificant, making small changes to your lifestyle can improve a pet’s life with osteoarthritis. Non-slip surfaces and the use of ramps and steps can make life easier for a pet with osteoarthritis and allow them independence to perform their normal daily activities. Instead of one long walk a day, multiple shorter walks will still provide your pet with exercise without burning them out.